This classic wrap around was part of the original coolie craze. 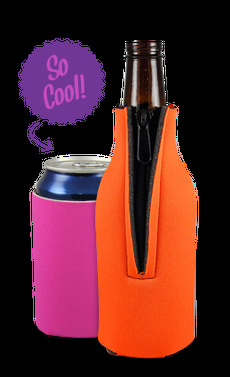 With snap action the wrap around will store on your wrist until you are ready for a cold one. Stores flat in your tackle box, drawer, or in your cooler. The wrap around classic is a great choice for a unique promotional item. Print up to 4 colors in the large imprint area. Call for questions and custom designs.